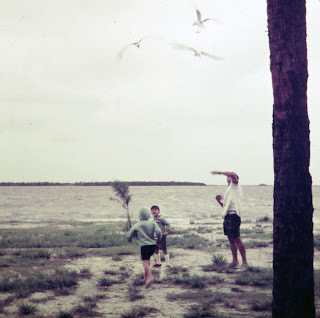 Great pictures are one of the treasures you bring home after a great Florida beach vacation! In the old days we use to have to be conservative while taking photographs because of the cost of developing film. Now you can take as many as you want. This almost always guarantees getting great shots! 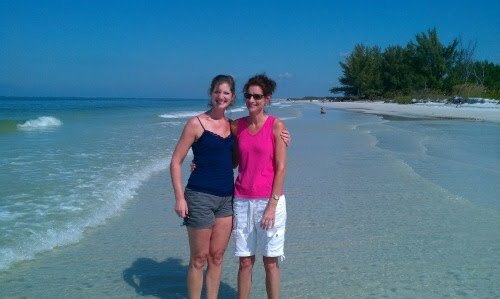 Fort DeSoto - My sister-in-law, Sandy and my wife, Patti. This area always ranked in the top 10 in the United States. St. Petersburg - my son, Austin double pole fishing! Melbourne - the fliers were out in their powered parachutes! The great part about this area is that it is not overcrowded. And of course, the great waves! Clearwater - a beautiful day for Sailing! The teenagers and young adults love this town! St. Augustine Fishing Pier - my son, Austin made this scary catch! You never know what you're going to pull out of the ocean at night! Honeymoon Island State Park - we're talking dog friendly (as my wife Patti and our old dog Reeses demonstrate)! You can't take your dog every on the island, but they do have a great dog area! Clearwater - Oh, no! The pirates have arrived! You can actually go on a "pirate Cruise" at Clearwater! Anastasia State Park - the view from the top of the St. Augustine lighthouse over to Anastasia State Park. We're talking 4 miles of ocean front in this state park! Anastasia State Park - feeding the seagulls. Hey, this was a long time ago - it was OK! 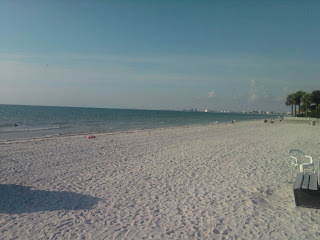 Treasure Island - a great area with white powder sand. This is my son, Austin when he was a little tike! 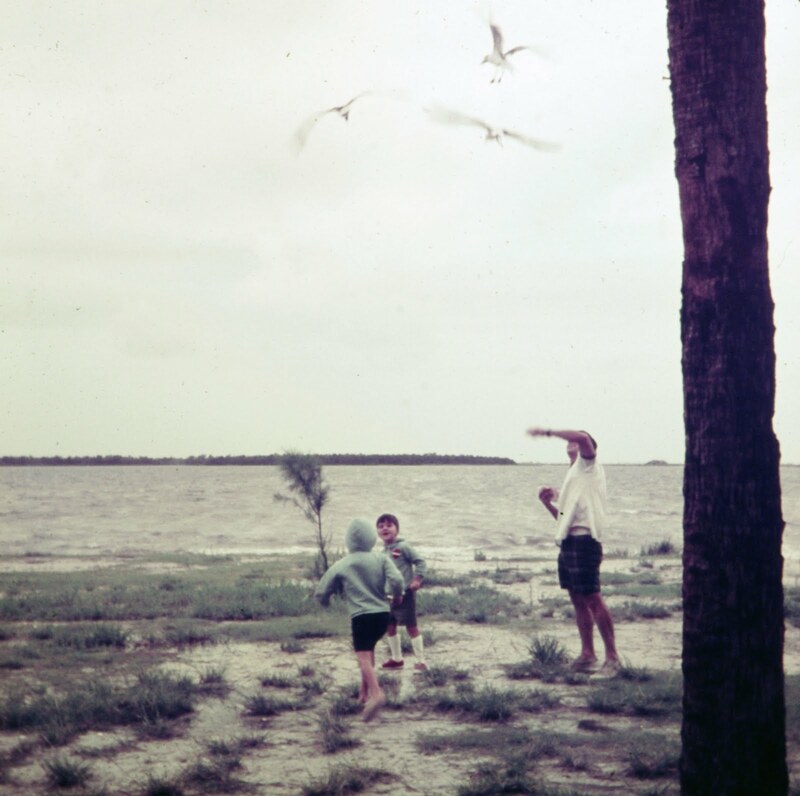 Fort De Soto - dolphin jumping out the water with my son, Austin, in the foreground. It's tough to get pictures like this. Luckily, in the digital age you can just keep pushing the button! Cocoa - my wife, Patti, on the beach. It was December 31st near sunset, and it was a little chilly! Cocoa - sunrise on New Years Day! I got some great pictures from the balcony of our room on the 7th floor! Lovers Key State Park - awesome beach that you actually ride a tram to! They've preserved the mangroves inland from the beach, and kayakers paddle through these areas. Pass-A-Grill - this is the furthest you can go south along the Gulf side of St. Pete. Plenty of powdery sand here! This is what it's all about! The satisfaction of taking great time exposure pictures at night - just kidding! Enjoying your vacation and sharing the experience with others is really what it's all about! Panama City Beach (PCB) - my brother just sent me the following 4 pictures. There are more like these from his family vacations under "best" to the left. They've gone to PCB almost every summer for the past 9 years. This first one is looking off of their hotel balcony at sunset. PCB -looking down at the pool at their hotel. Looks a little crazy! Cape Canaveral - Ashley and Johan getting ready to embark onto a Bahamas bound cruise ship! Florida travel opportunities are practically limitless. With thousands of miles of fresh and saltwater coastline, incredible beaches and hundreds of local, state and national parks about the only thing you won’t find are ski resorts and mountain climbing opportunities. Known as the Sunshine State it is very affordable and family friendly. Bring your fishing gear, camera and just relax. 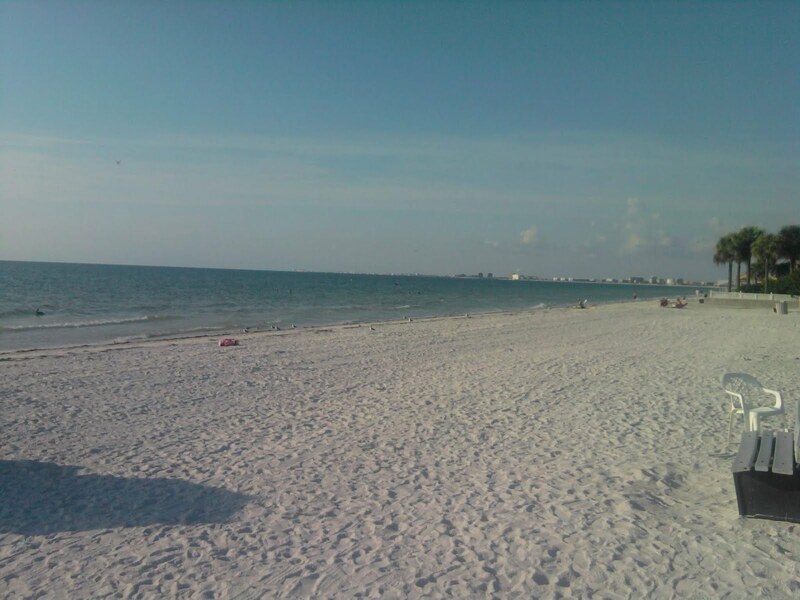 Share Your Own Florida Beach Vacation Story! Do you have a great experience to tell us about? Or even better - maybe an "inside scoop" on a great beach in Florida? Then share your story with the rest of us!